Vitamin D is a hormone and it is of interest to the skin care professional because it is only made in one place - the skin. We have found that when Vitamin D is balanced a lot of skin conditions like rosacea, eczema, psoriasis and heavy wrinkling will improve. However there are several products that wreak havoc on skin when exposed to sun. For instance, taking ibuprofen before sun exposure and cause a higher sensitivity to sunburn. Other photosensitizing ingredients are retinyl palmitate (and any vitamin A derivative including retinol, which should only be used at night), salicylic and glycolic acids, Hydroquinone, citrus essential oils and citrus based preservative. Hydroquinone: Hydroquinone has also been linked to photosensitivity. It has been reported that after four to five months of regular use, many clients begin to see a blueish color stain in the areas where it was used. Leading experts in hydroquinone have proposed that clients use it for no more than five months at a time. The skin must be given a break to allow it to stablize. A good sunscreen with zinc/titanium dioxide, avobenzone, or ecamsule blend should provide a good base plus a good antioxidant stable vitamin C under the sunscreen will help avoid and protect the skin from cancer. To the naked eye, the skin on the neck and decollete does not appear much different from that of the face, but it is quite different. Facial skin has a higher number of sebaceous glands that provide natural lubrication and protection. With fewer sebaceous glands on the neck and chest, there are reduced moisture levels, as well as a tendency toward dryness and dehydration. The skin on the neck and chest is thinner with less adipose tissue-the fat layer that supports the dermis-and more vascularity or blood vessels. The combination of thinner skin, increased vascularity, and loss of calcium and dehydration can greatly impact the appearance of the neck and decollete, resulting in an increase of lines and wrinkles, a red and blotchy appearance, and increased hyperpigmentation. There is a all-too-common mistake of not applying the same protection to the neck and chest as we do to our face. Poikiloderma of Civatte (PC)-is another condition found only on the neck and chest. It develops predominantly in women and tends to be more prevalent in fair-skinned individuals.This condition is a complex combination of hyperpigmentation and dilation of blood vessels, leaving a mottled appearance to the skin. PC is thought to be caused by accumulated UV exposure, increasing photo-sensitizing by the use of ingredients in cosmetics and perfumes,although hormones may also play a part in this condition. The development of deep vertical lines on the chest occur throughout time and are common in clients who prefer to sleep on their sides, compressing the skin between the breasts. This condition can be treated with topical to strengthen collagen, yet it cannot be kept from worsening without the client altering her sleep position. It's never too late for clients to begin caring for their skin. Science in skin care has advanced and there are now ingredients available that have shown excellent results. An ingredient containing calcium hydroxymethionine and 3-aminopropane sulfonic acid has been tested for its efficacy on the tissues of the neck. Retinol provides benefits for the skin, such as collagen and elastin stimulation, and a suppression of MMP enzymes. It is an antioxidant and it speed up cell turnover, a process that slows with age, leading to a dull complexion. Niacinamide reduces hyperpigmentation and redness. This B vitamin plays a role in multiple biochemical reactions within the skin. It is critical to ensure that clients follow a regimen using a broad-spectrum sun protection SPF 30 along with a good Vitamin C each day. All acne is hormonally -induced - and once it takes place in a young person's skin, stress factors create more pressure on the hormonal cascade fluxes. Physiology studies show that starting somewhere before adolescence, perhaps ages nine or 10, the adrenal glands produce dihyrepiadrosterone sulfate (DHEAS). At puberty, other androgen, such as testosterone and hehydrotestonsterine (DHT), are produced. All these androgens suddenly stimulate the sebaceous gland to secrete more and more sebum. Attempting to dry this excess sebum out only exacerbate the glands to pump more sebum. Nutrition:Consuming a lot of breads, cakes, pastas, and other wheat products can also contribute to acne. Gluten causes damage to the small intestine, which could lead to nutritional deficiencies and an increased toxic body load (through leaky gut syndrome). People with gluten sensitivity cannot digest gluten effectively. As a result, they absorb partially-digested protein molecules. The immune system treats these molecules as invaders and as it attacks these invaders, the white blood cells release histamine, which increases inflammation. Inflammation increases insulin resistance in the nearby cell structures. Insulin resistance leads to blood sugar problems,. Stress is another enemy. When a person is stressed out, their body releases cortisol. The sebaceous gland sacs have receptors for this hormone that increase sebum production. High levels of cortisol can inhibit collagen production. The eyes are one of the most important facial features in contributing to each person’s unique appearance, personality and how one communicates with the outside world. Unfortun­ately, the eye area is also one of the first places on the face to show the visible signs of aging. For clients looking to reduce the visible signs of aging around the eyes, there is hope. 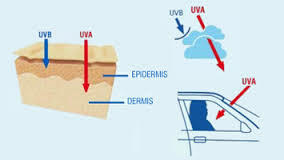 Many of these new ingredients provide rapid, visible results if used regularly along with the measure of UV protection. Long-term benefits take time, however, nothing is wrong with wanting immediate results as well. Boron nitride is a naturally occurring mineral that can leave dark circles and undereye bags immediately brighter upon application by reflecting light away from the eye area. This is a nice addition to an eye product if immediate brightening is wanted. By utilizing these useful ingredients, you not only help slow the development of these signs of aging, but also improve the appearance of existing fine lines, wrinkles, undereye puffiness and eyelid laxity. Palmitoyl tripeptide-38. The newest generation of matrix-building peptides, this ingredient can be used successfully to treat all skin, but it is especially effective in treating the eye area, as the loss of collagen and other matrix components is highly apparent there. This amino acid chain has demonstrated the ability to increase the production of six highly important dermal and epidermal components, as well as one important protein. Collagen I.. The most abundant form of collagen in the human body, present in scar tissue healing and repairing, it is estimated to comprise 90% of all collagen found in the body. Collagen III. Often called the collagen of youth, produced by young fibroblasts during the early phases of wound healing. Collagen IV. Forms the bases of cell membranes and works closely with laminin-5, anchoring keratino­cytes. Fibronectin. Involved in many processes, including tissue repair and cell migration/​adhesion, fibronectin acts as an anchor, adhering cells to collagen and binding various components within the extracellular matrix (ECM). Hyaluronic acid. A key component of the ECM necessary for proper dermal function, such as water retention in the tissue, it regulates activity in cell proliferation and migration—wound healing—in the dermis and the basal layer—dermal-epidermal junction. Laminin-5. A key component of the ECM involved in the healing of injured epidermal cells that also plays a role in migration and anchoring keratino­cytes. Heat shock protein 47 (HSP47). A chaperone protein functioning as a support for maturing collagen and other matrix components to ensure they reach maturation, HSP47 acts as a project manager, making sure the synthesis of these six major components of the ECM work at their highest potential. Myristoyl pentapeptide-8 and myristoyl hexapeptide-4. Excellent choices for the eye area, these two peptides stimulate collagen synthesis and tissue repair without inflammation, and provide an effective alternative to human growth factor. Myristoyl nonapeptide-3. An exciting alternative to retinol, which has proven skin benefits, but can often be too irritating for some patients, this new peptide mimics the action of retinoic acid--vitamin A—without causing negative side effects, such as stinging. This retinopeptide has demonstrated the ability to increase collagen production and increase the processes associated with improving retinoic acid activity in the skin, as well as regulating connective tissue growth factors that lead to more youthful fibroblast activity. Acetyl tetrapeptide-5. A peptide that inhibits the glycation that ultimately leads to collagen cross-linking and ECM breakdown, its anti-edema effects increase skin elasticity and moisturi­zation, while reducing undereye puffiness and improving the appearance of dark circles around the eyes. Dipeptide diaminob­utyroyl benzylamide diacetate. A next-generation peptide that has a fast-acting wrinkle-smoothing effect around the eyes, diminishing wrinkles and expression lines, it functions by attenuating the muscle contractions around the eyes that are responsible for creating the aged look of this important facial area.